Get inspired for your next project. ATTENTION: We now sell wall & floor tiles! Heartland Granite & Quartz Countertops integrates the art of fine design and your personal vision to produce luxury and elegance you can feel. 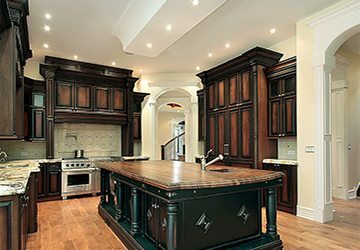 Since 1999, we have continued to offer our customers a large selection of products for Home Improvement & Kitchen Remodeling projects. 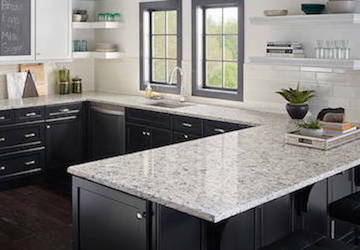 From custom granite countertops to custom quartz countertop fabrication, you can trust Heartland Granite & Quartz Countertops to enhance your at-home experience. With exceptional, "beyond the call of duty" customer service being our top priority, the Heartland team stands out. Take advantage of our long experience in designing, building, remodeling, and fabrication. We promise to make your project fun, exciting, and hassle-free. Granite is 100% natural stone that offers the durability, beauty and customization options suited for any kitchen or bathroom. 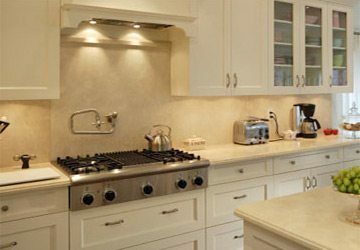 Quartz offers numerous advantages, including scratch resistance, stain resistance, a non-porous surface and extremely low maintenance. Get everyday low prices with Heartland! Find out about our latest specials and deals to keep your next project within budget. With over 15 years of service, Heartland has so much to offer: in-house fabrication, fast turnaround, free estimates and everyday low prices.